I absolutely love seeing other parents involving their children in the kitchen. It can create such special moments all the while teaching them real life skills. I do agree with you on it being a lesson on patience for us parents as well..extra messes, takes a lot longer to complete simply task. It is worth it though!! I agree 100%! My kids love being in the kitchen and it’s such great quality time with them. It is yummy bread! I’m not a sourdough expert by any means. 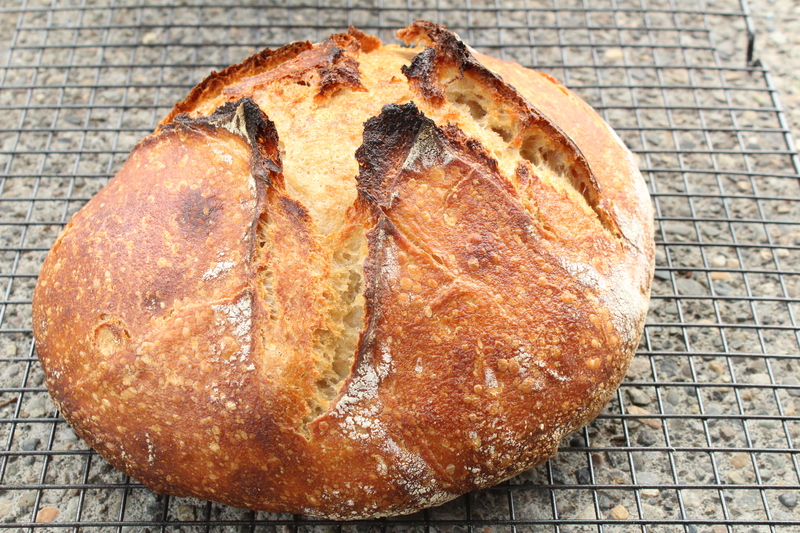 I use this recipe: https://www.marthastewart.com/1130184/tartine-country-bread With this recipe I use a full 200 grams of my starter instead of following the directions to make the Leaven which I think would up the sour part of the bread. Also letting it ferment in a warmer area. Best of luck! I love cooking with my daughter. I agree she eats way more vegetables when I’m cooking with them because she wants to try everything I am putting in. It’s so fun to share what we love with our kids!